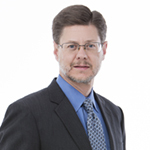 Brian Hicks, Managing Director of MidAmerican Global Ventures, has more than 30 years of experience in government and business, assisting numerous companies to develop and execute strategies to achieve their investment, growth, and public policy goals. Prior to becoming a successful business owner, Brian Hicks had a long career as a public official in federal and state government and on local, state and national political campaigns. He served as Chief of Staff to the Governor of Ohio, Deputy Secretary of State for Ohio and Senior Legislative Adviser for a U.S. Member of Congress. He serves on the Board of Directors of the Ohio Chamber of Commerce and formerly served as Vice Chairman of the Board of Trustees for The Ohio State University. 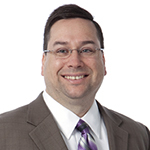 As Chief Financial Officer, Michael DiPerna brings more than 28 years of experience in economic development and project finance to MidAmerican Global Ventures. He has structured and closed over 430 bond transactions totaling over $4 billion in economic development project financings. DiPerna holds a Series 7, 53, 50 and 63 license. Keith Conroy, Director of MidAmerican Global Ventures, has deep experience in economic development, having served as Assistant Deputy Director for the Ohio Department of Development and as a consultant working with many federal and state agencies, including the U.S. Department of Energy and Export-Import Bank of the United States. He has played key roles in attracting many international companies to Ohio and organized several international trade missions in Asia, Europe, and South America. He is a Certified Economic Finance Professional from the National Development Council and is currently an elected official. 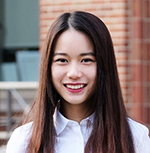 Utilizing her Mandarin, Cantonese and English skills, Jiali “Alisa” Zhan supports immigrant investors and provides project research and administrative support to MidAmerican Global Ventures. In addition to her work at MidAmerican Global Ventures, Alisa serves as the administrator for the Greater Columbus Chinese Chamber of Commerce, where she works to connect U.S. and Chinese companies and promote mutual business opportunities. Previously, Alisa worked with a leading executive recruiting firm in Shenzhen, China where she assisted the team.